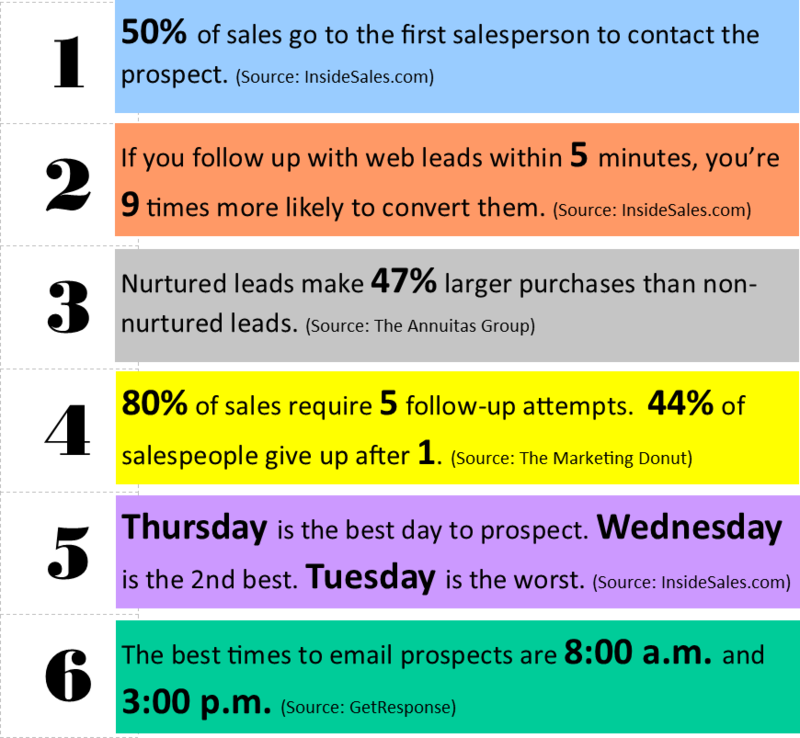 There are a bunch of sales stats HERE and at HUBSPOT. 30-50% of sales goes to the vendor that responds first. 80% of sales require Follow-up calls after the meeting. 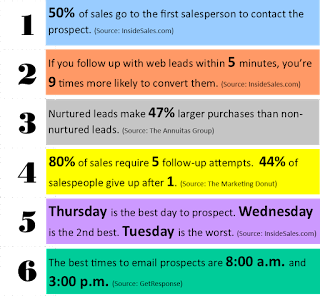 44% of sales reps give up after just 1 follow up call. Email is almost 40X better at acquiring new customers than Facebook or twitter. Salespeople who actively seek out and exploit referrals earn 4 to 5 times more than those that do not. Are you actively managing and coaching your salespeople to success? Do you know how? Jump on this webinar and get a foundation to work from. The one hour long presentation will be on November 8th 2016 at Noon Eastern.